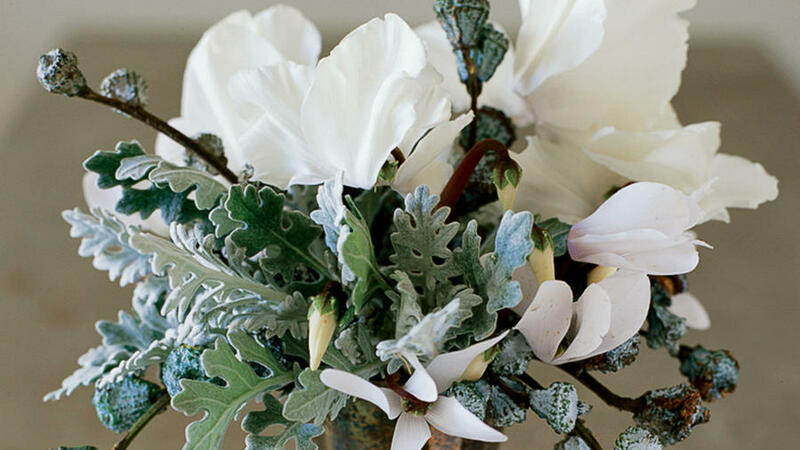 White cyclamen appear to flutter above silvery dusty-miller foliage and eucalyptus pods. Arrange the woody pieces in a triangle ― one stem to the right, one to the left, and one across ― then tuck in flowers. 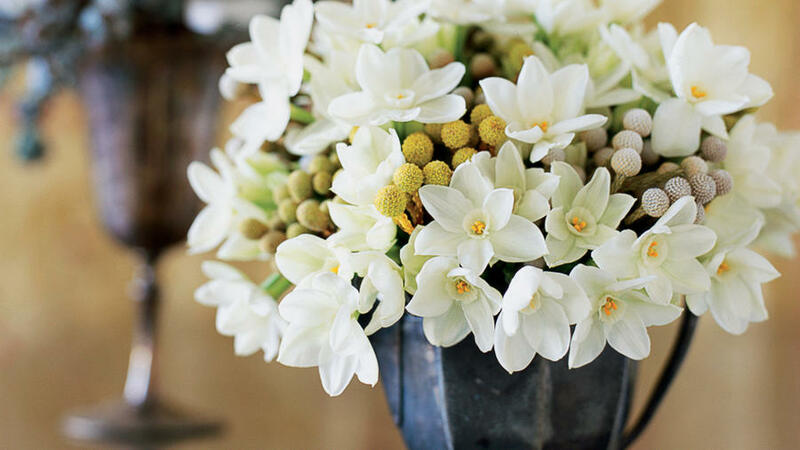 "Small, white-flowered arrangements are like little snow bouquets indoors," says floral designer Kate Holt. "I like to place them all around the house for a more intimate kind of welcome. 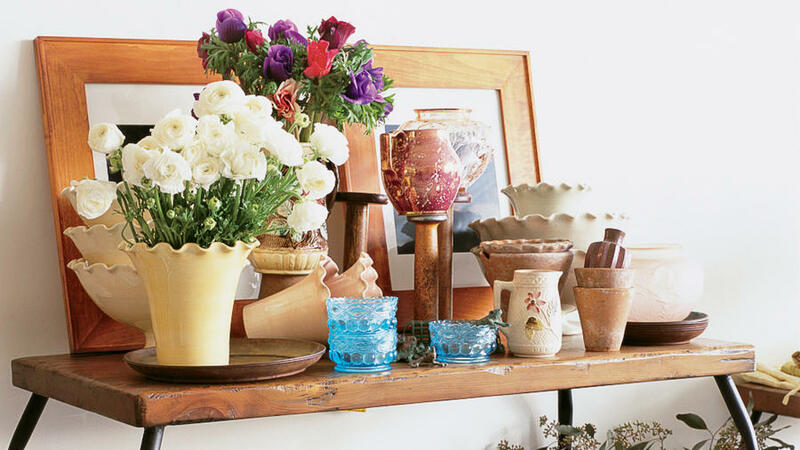 Also, using vessels like sugar bowls or silver creamers feels much cozier than a generic vase." Here, narcissus blooms, commonly available at florist shops in winter, join berzelia berries in a pewter creamer. 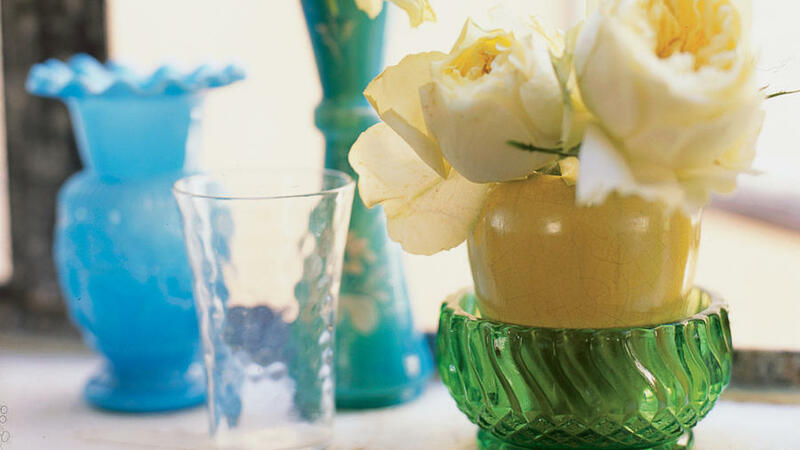 Jewel-tone vases highlight these fragrant, sumptuous roses. 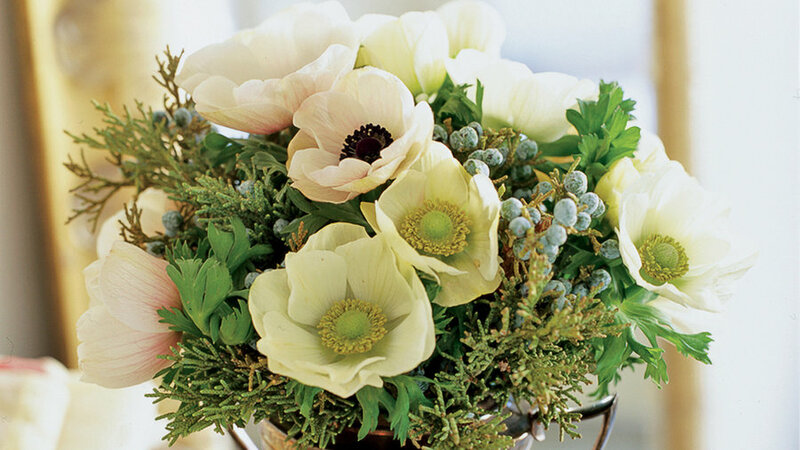 Anemones nestle among juniper branches in a vintage sugar bowl. White ranunculus look extra-snowy against a cream-colored container. The arrangement shares space with candy dishes ceramic pots and other pieces that Holt uses as vases. Kate Holt in her studio: "I don't use floral foam or wire frogs. I prefer to let flowers dictate the form rather than the other way around ― bouquets turn out more unique that way. 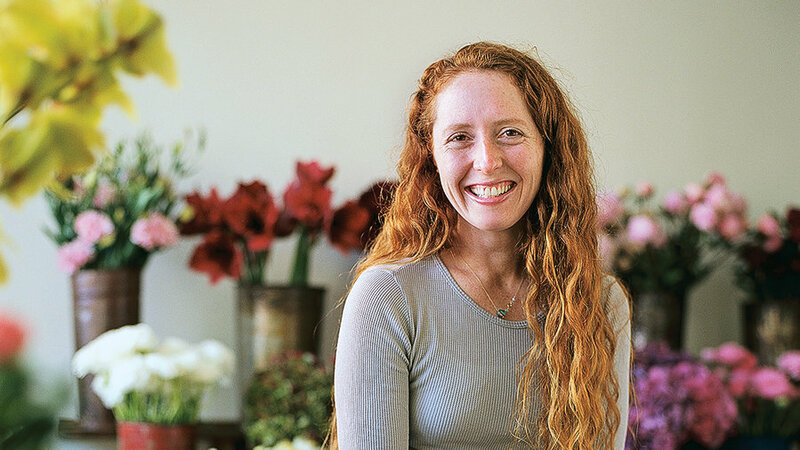 "And I never use flowers as fillers, since I want every flower in the bouquet to be noticed."